Google is giving iPhone users another way to find their misplaced devices -- by searching the Web for it. Soon, when iPhone or Android users enter "I lost my phone" at Google.com, the search engine will respond with options that will allow them to ring the device, or locate it on a map. Right now, users can already get access to that functionality through Google's My Account feature, which serves as the nexus for people to understand and access the information connected to their Google account. Unlike Apple's Find my iPhone, Google's phone location feature isn't capable of locking an iPhone or remotely erasing it. Still, it may be a useful feature for someone who have misplaced his phone and just wants to figure out where it is. People can also use the feature to prevent the device from accessing their Google account, meaning a thief couldn't get access to private information. What's interesting about this capability is both that Google is providing the functionality to users of a competing mobile platform, but also that it is capitalizing on its position as a search engine to field a common query. 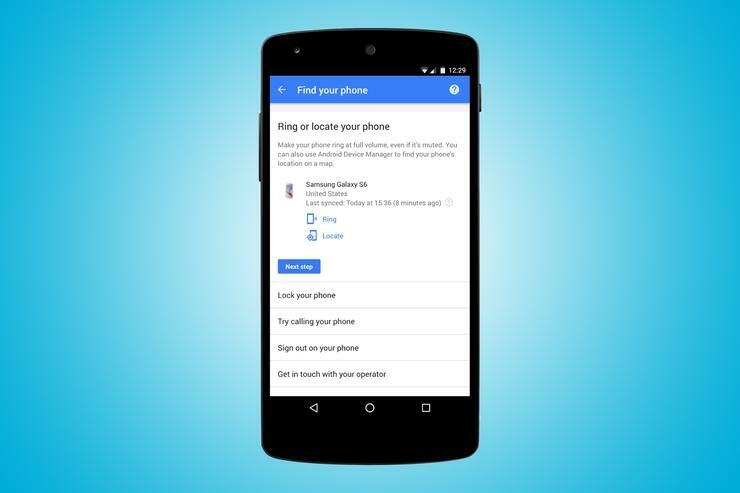 On one side, it's possible to see this as a public service -- Google is making it easier for people to find their lost phones. On the other hand, it's also possible to look at this as a more cynical, competitive move to try and draw people away from using Apple's tools and make them more comfortable with using Google services. That, in turn, could make iPhone users more likely to switch to Android in the future.